Over the past 24 hours, the situation in the ATO zone was most tense in the vicinity of Avdiivka. Yesterday [March 23], terrorists executed multiple fire strikes using 120-mm mortars; tanks fired on three instances, and 122-mm artillery was used once. There was also a clash between the Ukrainian forces’ battlefield security and an insurgent group that attempted to break through the gap between two of the ATO forces’ fortified positions. After intense combat, the enemy fell back to their original lines, under cover of mortar fire. During the day, the insurgents fired on Pisky three times, using 82-mm mortars. In this sector, the terrorists also opened fire using small arms and heavy infantry weapons (including heavy machine guns and grenade launchers), on multiple occasions. In the vicinity of Shyrokyne, insurgents made a total of six fire strikes, using 120-mm and 82-mm mortars. In addition, the enemy’s advanced groups opened heavy fire from small arms–attempting to force back the Ukrainian troops’ advanced positions which have fortified in the western part of the village. At least two mortar units (120 mm) are active on the Pavlopil – Shyrokyne stretch. They are equipped with vehicles and employ a “hit and run” tactic, operating as single or paired details (1-2 mortars). Six armored vehicles (including 2 tanks) were also seen arriving near Shyrokyne. Russian-terrorist formations continue increasing their combat capacity in virtually every part of the ATO zone. Supply convoys continue arriving in Donetsk, through Alchevsk, Debaltseve, and Vuhlehirsk. Over the past 24 hours, 22 vehicles and 4 pieces of specialized equipment (mobile repair shops) were reported arriving here. A terrorist company tactical group (approximately 100 personnel, 6 tanks, 8 ACVs, 5 army trucks) was transferred to the Donetsk sector, through Snizhne and Shakhtarsk. 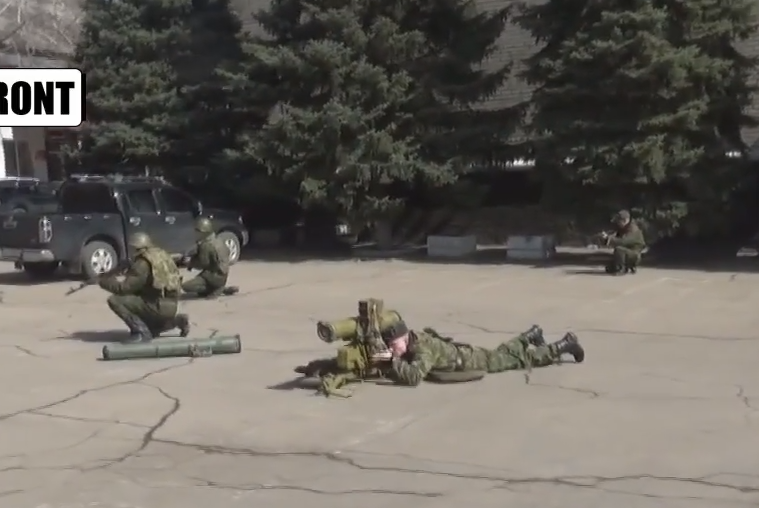 Insurgents continue improving their “combat skills” in the “training center” in the vicinity of the Luhansk airport, undergoing tactical training with live firing, under the supervision of instructors from Russia. At this time, up to 10 pieces of combat equipment, including 4 tanks, are involved in these efforts. 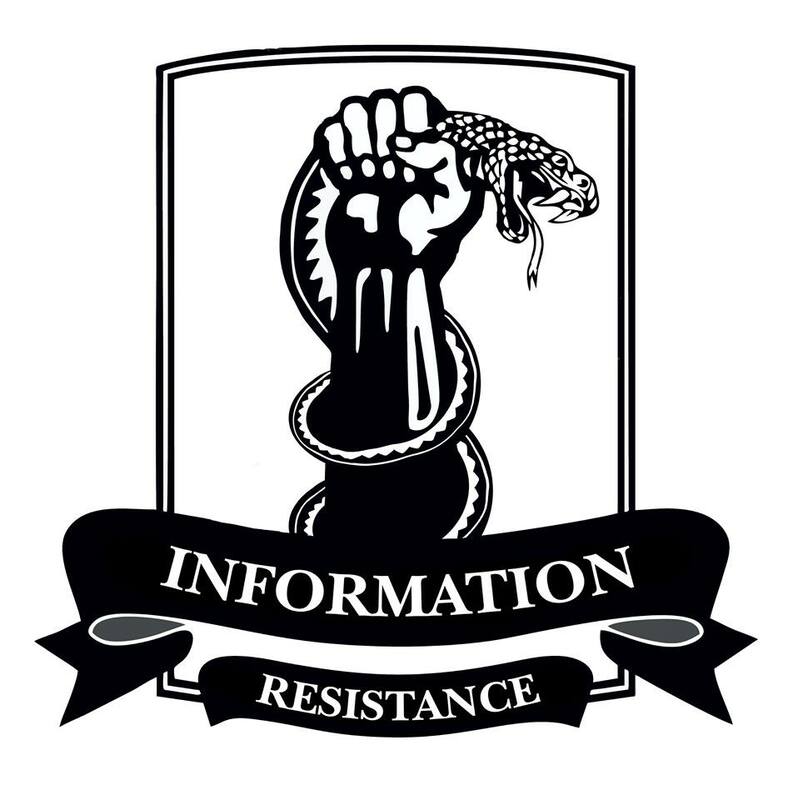 The insurgent company tactical group that had arrived on the Sokolnyky – Krymske stretch yesterday (as previously reported by the IR group) took positions deep behind the Russian-terrorist lines, to act as a reserve. In an area east of Luhansk, Russian-terrorist artillery forces continue concentrating. An additional artillery unit (three D-30 howitzers) arrived to join the artillery battery already deployed here (four 2S1 “Gvozdika” self-propelled guns). A new Russian-terrorist formation was spotted in the Petrovskyi district of Donetsk (a resupplied unit that is part of the “Oplot” gang, arriving from the southern sector). The formation includes approximately 110-120 insurgents, two ZU-23-2 anti-aircraft systems on transport platforms, five anti-tank missile systems, and up to ten heavy machine guns of different types and modifications. The formation also includes 2 off-road vehicles, 9 army trucks, one BMP-1 infantry fighting vehicle, and two APCS: BTR-80 and BTR-70.